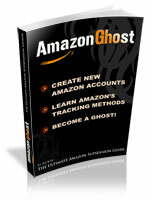 I have an Amazon seller account, and I use developed by myself software to manage my orders. Since 2019, Amazon changed API policy and now it is real a$$ pain to get the API access keys. Anyone here provide service to get account API keys swift&fast? Pay $$$ for a working solution! Keep creating a case every week or so asking for an update. Same thing happened to me and it was about 2 months after when I finally got it but I just kept asking them and then they finally gave me a key.